As leading technology company in innovative terminal automation solutions, Camco provides optimization of gate, rail, crane and yard operations. A typical automation solution for container terminals combines and integrates Camco’s in-house developed hardware and software systems. This ensures fast and accurate processing of containers – at terminal entry and exit as well as during handling – with limited use of resources. In recent years, terminal operators started investing in OCR solutions for quay side cranes. 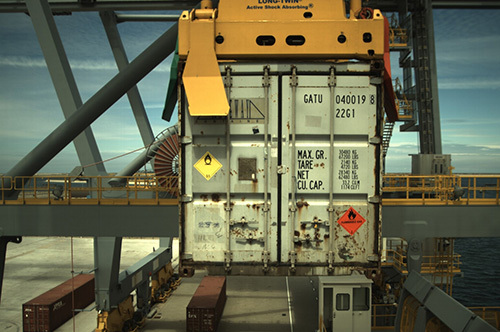 Camco’s patented BoxCatcher system accurately identifies containers during loading and discharge, without interrupting normal crane operations or slowing down operations. 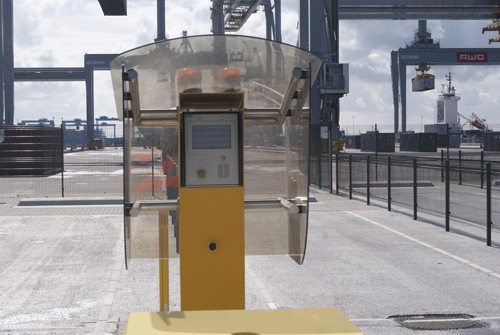 Camco’s MLT solution measures the position of any container or container handling equipment on your terminal and can be applied to improve operational efficiency. It’s based on a combination of UWB distance ranging, DGPS and INS, and is highly accurate. 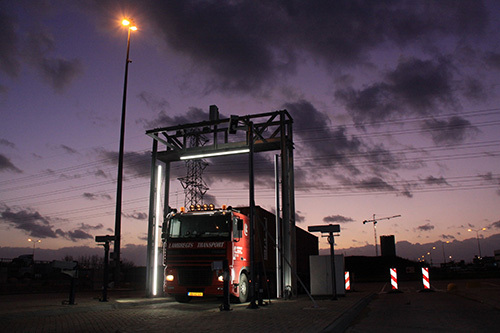 Camco’s Gate Operating System can manage and steer complete gate processes and sub-processes. It consists of multiple software modules: partly customer specific software developments and partly generic building blocks customized through configuration. GOS seamlessly interfaces with any terminal’s host and TOS systems. Our industry standard LSTP / grid kiosk systems enable terminals to provide interactive interchange areas that are safe, efficient and user-friendly. This communication channel between truck driver and remote ASC operator will lead to fewer mistakes and misinterpretations. To achieve optimal traffic flow and accurate access control, Camco can deploy an automated traffic control system including traffic lights, barriers, LPR readers and traffic guidance panels. The reliable, all weather traffic and access control hardware is managed by Camco’s proprietary Gate Operating System (GOS). The GOS software module for automated traffic control can be customized to suit each terminal’s needs. Optimize terminal access control with Camco’s accurate and swift LPR and ANPR systems, which allow you to control and track every one entering and leaving your terminal.